From THE INVISIBLE GHOST, a poverty row cheapie directed by Joseph H Lewis, who resourcefully shows the correct way to handle an appalling script*. 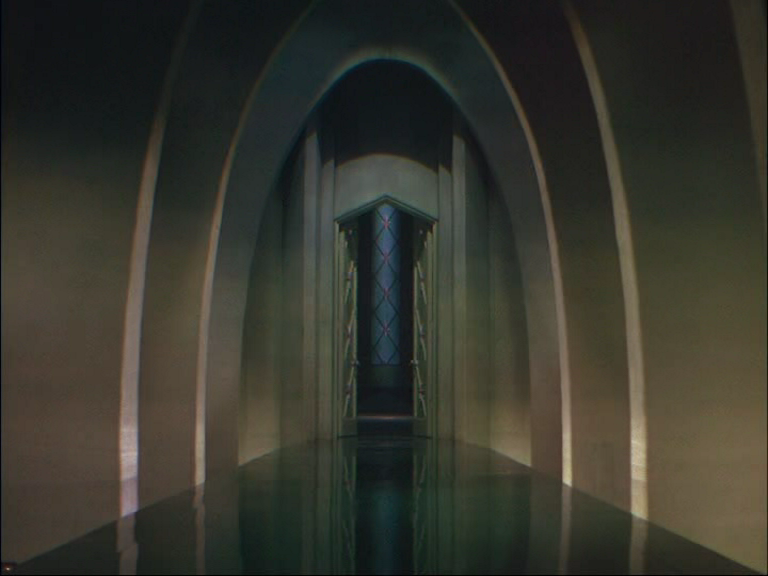 Rather than attempting to impart dignity to it with classical mise-en-scene, as an older director might do, to little effect, he throws out the handbook and just goes nuts, filming from inside the fireplace (the dreaded Santa Claus POV shot) and from inside people’s heads (that Gothic Ozu frame at the end of the clip, with Bela looking RIGHT AT US). Note also the brilliant use of source music, an up-tempo romantic dance band, playing against the mood of the scene. Later, the girl’s corpse will be discovered with the radio still on, playing a keep-fit show. The movie is seemingly out of copyright and thus available cheap all over the place. Well worth seeing, and I’m not sure that can be said for ANY of the other Poverty Row Lugosis (although GLEN OR GLENDA is of course a misunderstood avant-garde masterpiece). Lugosi, as usual, is unintentionally amusing but also frightening. And SURPRISING — just when you think he’s committed wholeheartedly to ham, he’ll discover the joys of underplaying, and always at the worst possible moment. After witnessing a corpse in a mortuary come back to life, then die of shock at the sight of him, Lugosi sits at the dinner table with his daughter and remarks, mildly, “It was horrible,” as if he’s describing an unsatisfactory goulash. *How bad is the script? Well, start with the fact that there’s no ghost, invisible or otherwise, in it. 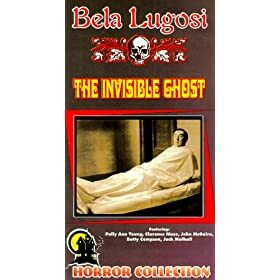 Leave aside the fact that the phantasmal woman is Lugosi’s wife, who lost her memory in an accident, and has been secretly kept in a shed by the gardener, who didn’t want to upset Lugosi — upset him with the knowledge that his wife’s alive? Notice that the police are aware that there have been quite a few murders in Lugosi’s house, but don’t seem to know how many. Notice also that they never suspect Lugosi, despite the fact that it’s his house and he’s known to be hopelessly insane (since his wife’s “death” — so much for not upsetting him). And revel in the fact that after the romantic male lead is executed for Lugosi’s crimes, his identical twin brother turns up to solve the case. It sounds like hilarious fun, and it is, but only because of Lewis’ antic camerawork, Lugosi’s erratically superb performance, and able support from Clarence Muse.